A little girl named Sarah lives with her parents and her baby brother. One night she awakens to find a beautiful large butterfly at the bottom of her bed. 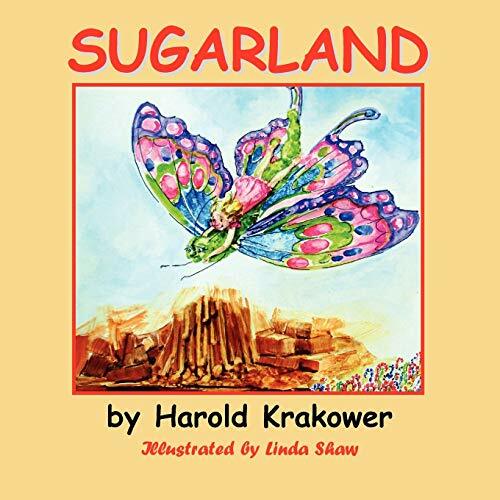 The butterfly's name is Alice and she fly's Sarah to Sugarland where Sarah meets up with Arnold the Bear and is invited to a birthday party. At the party Sarah meets with all of Arnold's animal friends and has the most fantastic time. In Sugarland, Sarah learns about Chocolate Lake and Chocolate Chip Road... about candy cane fields and lollypop tables. For Sarah it is a great adventure and Alice flies her home in time for breakfast. Sarah tries to explain to her Dad that she was in Sugarland and, of course, Dad has an answer for her trip... but look for the surprise ending.